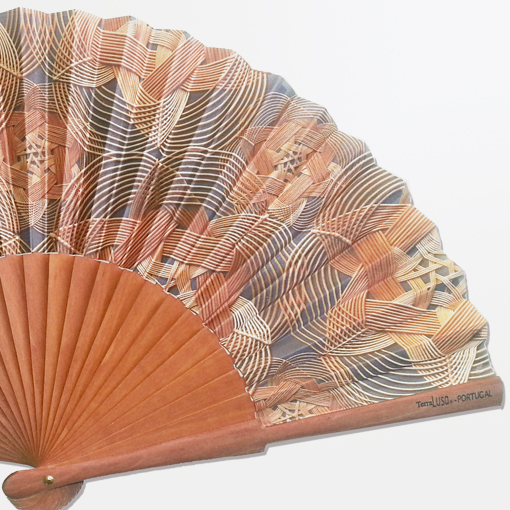 Fan inspired by the portuguese basketry art. This is a craft of ancient techniques, creating true games of patience, art and perfect execution. 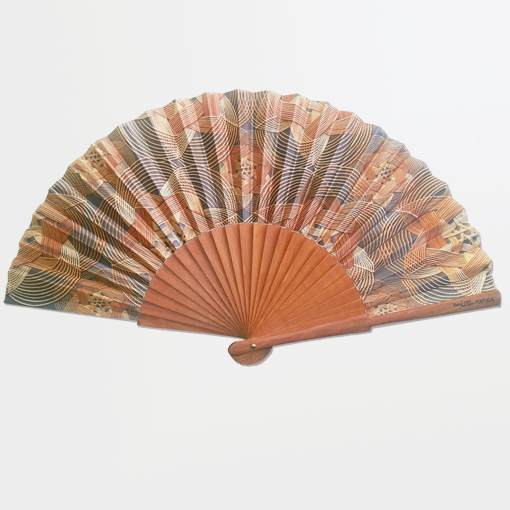 SKU: 30312 Category: Fans Collections: Basketry. Basketry or wickerwork came naturally to man in order to fulfill his need, particularly in his daily routines (agriculture, hunting, recollection, transport, storage and preservation). Laying his hands on existing plants in nature, man worked them, weaved them, even before he began to produce ceramic utensils or weave textile fibers. 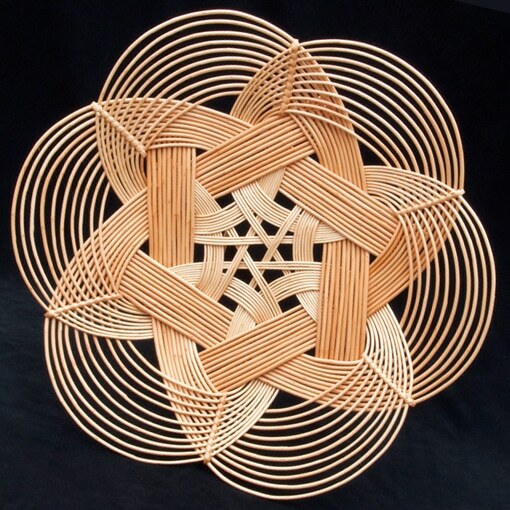 Basketry was treated as a lower level in traditional crafts. This peculiarity, so natural and basic, gave it an ordinary and almost invisible position, therefore of little attention and incipient study. 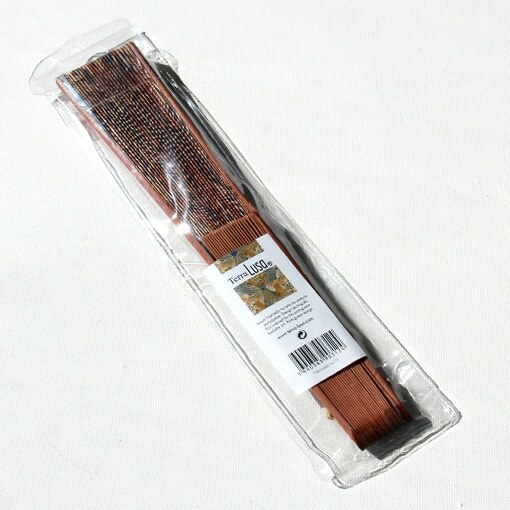 However, the objects made of vegetable fibers continue to amaze for their strength, balance of form, and connection to nature, making them hold a very special place in our lives. There is always room for a piece of basketry in our surroundings, sometimes so naturally and obviously placed they are seldom noticed.